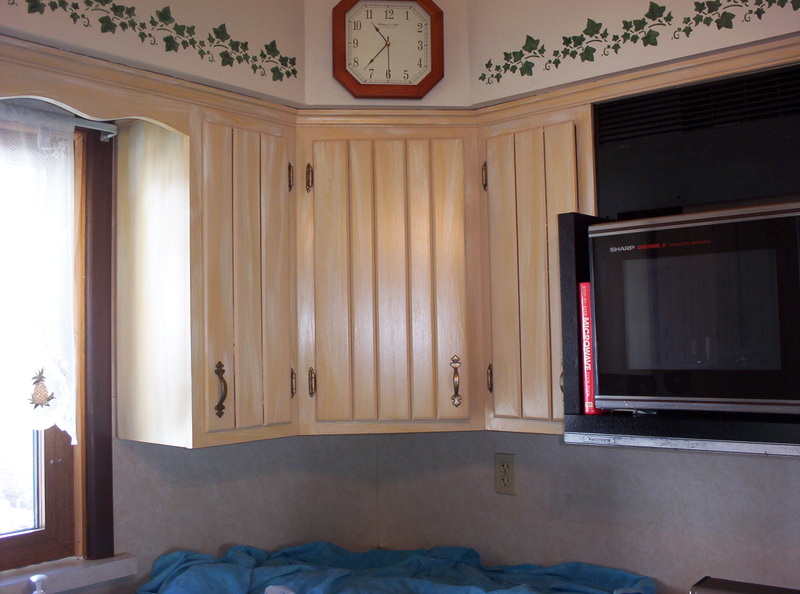 Your cabinets can be lightened! 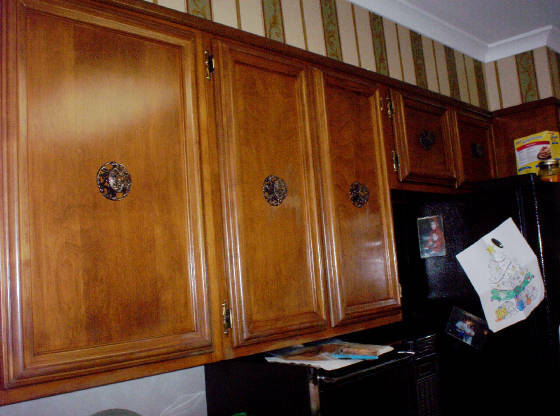 Dark cabinets above - lightened. 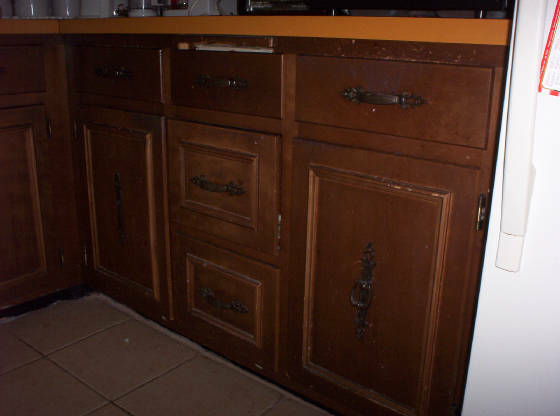 This 30 year old Oak kitchen had an almost black stain, now in a straight grain celery color. 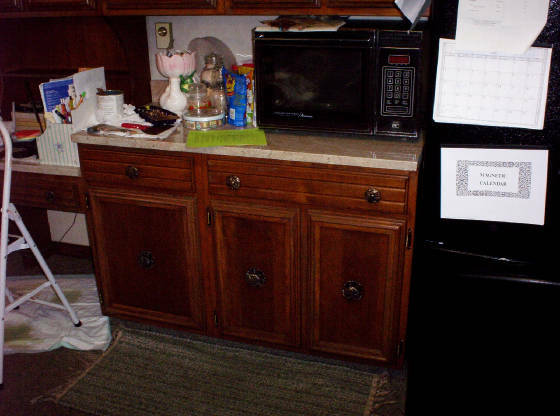 Nice old birch cabinets - BEFORE. 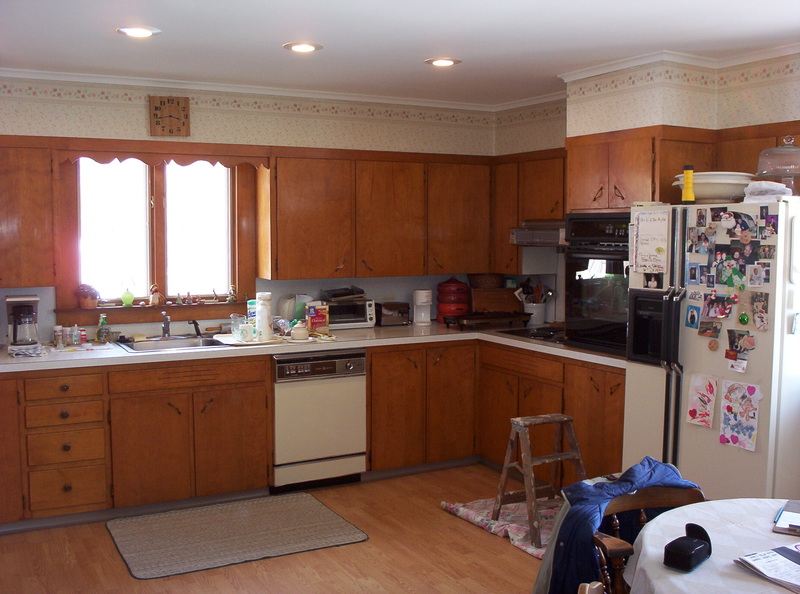 AFTER..... We added the OAK grain!!! 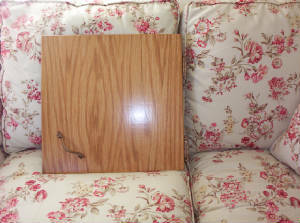 Door from cabinets above, Oak Finish. 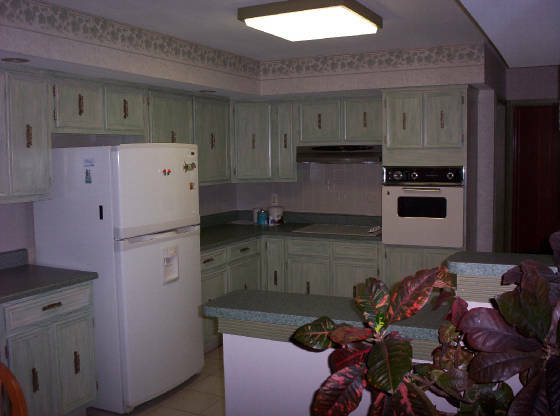 Pecan/provincial color. 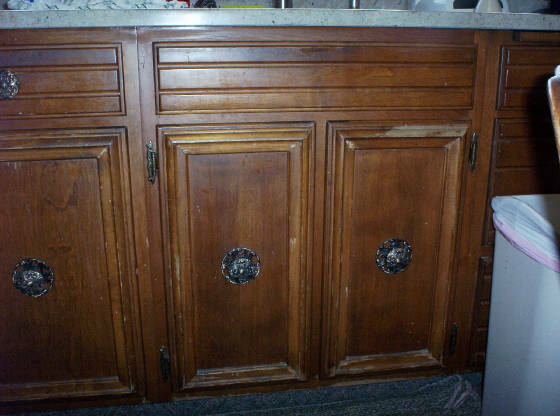 - BEFORE - A few scratches..
AFTER:. . . . .scratches ALL GONE! 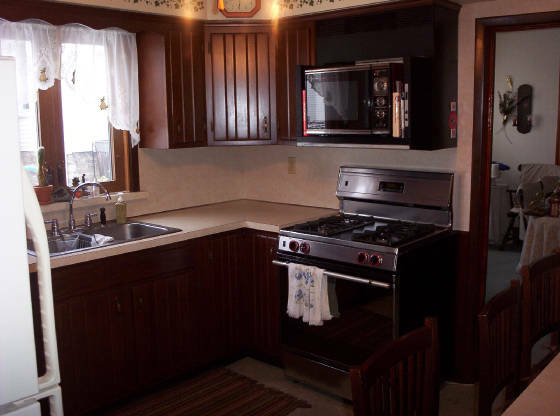 They didn't change counter-top until later . 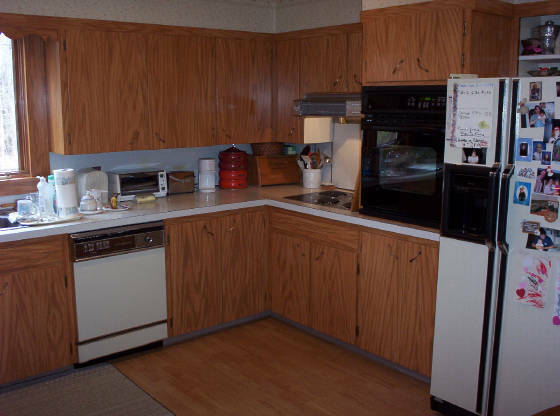 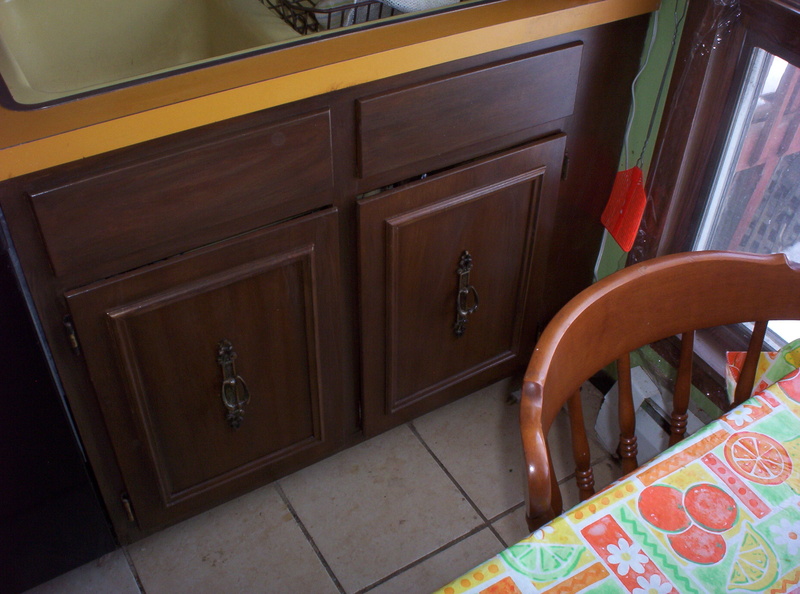 . .
Good solid older cabinets (below sink).